The Australian Exhibition of Women’s Work was held at the Exhibition Buildings in Melbourne for five weeks in 1907. People could see arts and crafts including paintings, drawings, sculpture, photography, pottery, needlework, leatherwork, woodwork, spinning and weaving. 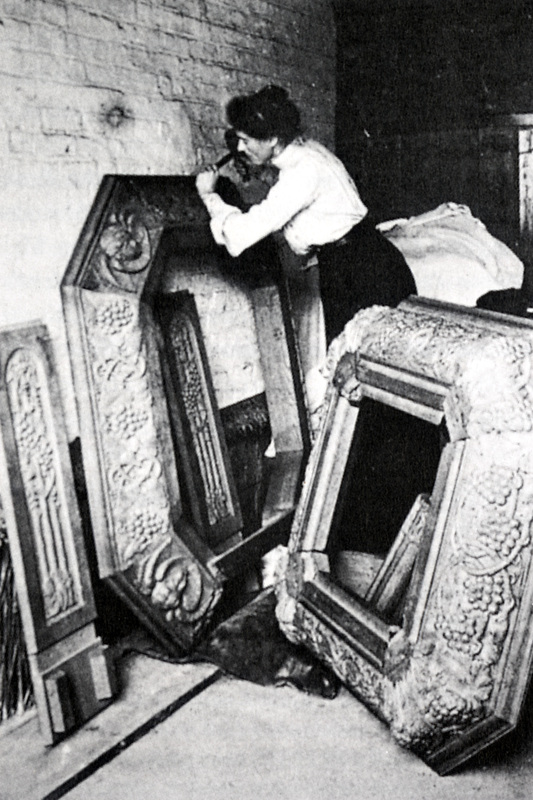 One of the women carvers exhibiting was Tasmanian born Ellen Nora Payne and she went on to win three prizes and a medal for her wood carvings. She was very hard working and prolific although worked mostly for friends and family. Payne learnt some of her craft from Robert Prenzel. You can see Payne’s churchly work at St Andrew’s Church, Westbury in Tasmania. This image comes from Heritage, The National Women’s Art Book. Maude Baillie from South Australia was also exhibiting. 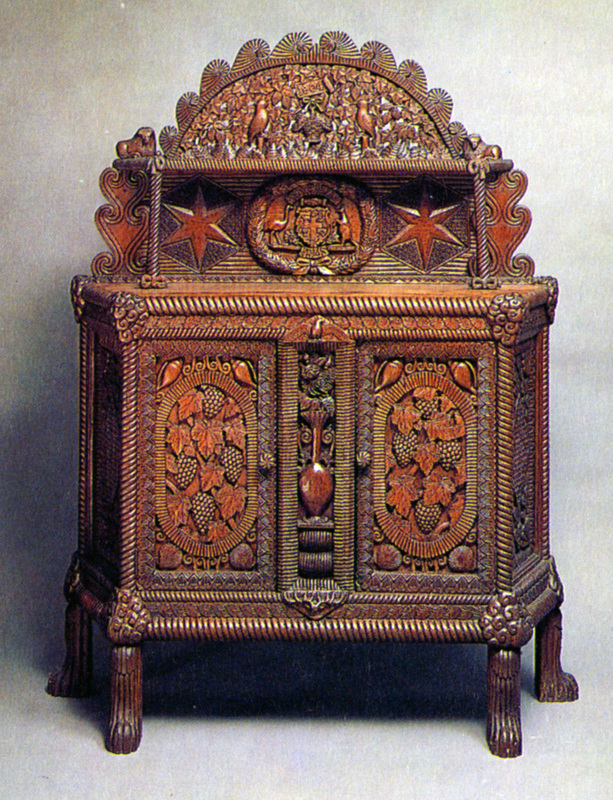 This Chiffonier design is decorative woodcarving at its best. Rope borders and floral motifs everywhere. Baillie mostly used a pocket knife and chisel. A family story says a state governor was so impressed by her work he gave her a set of woodcarving tools, but she soon moved back to her handy knife and chisel. Lady Northcote, wife of Australia’s third governor-general, was the organiser of the Women’s Work exhibition and because it is such a stunning photo I had to share it. 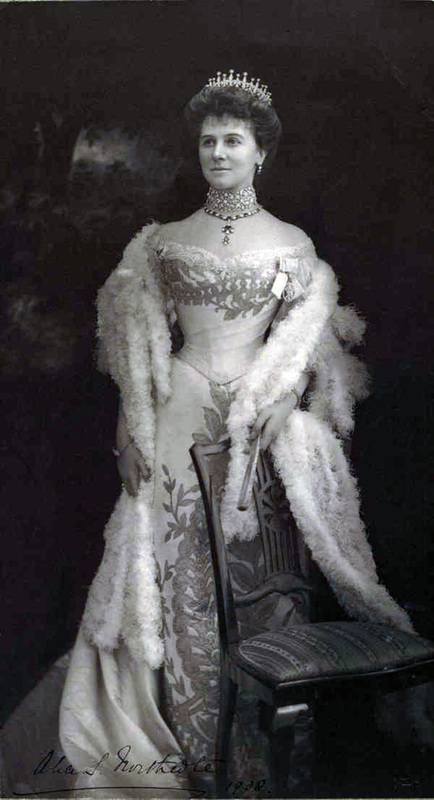 She is wearing a dress by the famous dressmaker Charles Worth. Here’s to all the hard-working women I know. Do you have any pictures of artist Constance Lillian Jenkins, regards, Jan Hercus.